This year I started a Code Club at my local primary school. It’s still early days for me (I’ve only run four sessions of the Club so far) so I’m obviously not an expert on this stuff. But I thought I’d share some of my first impressions as a volunteer. What is Code Club about? If you’ve not heard of it before, Code Club is about giving children aged 9 – 11 a chance to try computer programming. It isn’t something that they normally cover in primary school (in theory, this should all change from September 2014 with Year of Code, but we’ll see how that works out), so Code Club is an attempt to introduce programming in primary school, rather than wait until it gets introduced in Secondary school. I keep hearing volunteers referred to as free labour – normally in the context of the “Big Society” being a way to replace paid employees with volunteers because they’re free. But at a time when policymakers talk about wanting to encourage big increases in levels of volunteering, some volunteering charities are struggling to find funding. A point that doesn’t seem to be well recognised in mainstream media coverage of the Big Society is that volunteers are not free. In fact, they can be very expensive. Someone needs to look out for and help to create opportunities for people to volunteer. Someone needs to check that a volunteering opportunity is safe, that the role is appropriate, and that the volunteer will be adequately supported. Someone needs to identify any training or preparation required for a volunteering role, and help the volunteer to find the training they need – whether it’s getting a food hygiene certficate for volunteering in a community kitchen, or getting training to help prepare them for working with people with special physical or learning needs. Someone needs to encourage the volunteer to review and reflect on what they’ve done, and what they got out of it. I could go on, but you get the idea. The point is that to do volunteering properly (where a volunteer is supported in carrying out a well-defined and appropriate role for which they are properly prepared) takes work. And that work has a cost. What does Solent Youth Action do? Told in pictures. I thought this was kinda neat. What will happen to v? Solent Youth Action‘s biggest project is vinvolved – delivering the vinvolved national volunteering programme. When I say it’s our biggest project, there are different ways you could measure this – number of young people helped, number of volunteering hours contributed, etc. It’s not a definitive thing. One way of measuring is by income. Our finances are all on the charity’s website, but let me pick out a small summary. The funding we receive from vinvolved is the darker purple bit. The point I’m making is that they pay for a lot of what we do. Last week, some of the staff and trustees of Solent Youth Action had an Away Day for strategy and planning a-plenty. In one of the morning activities, we were ideastorming in small groups. My group had to identify what impact SYA has on the community. I kinda liked the list we came up with. As the work of ten minutes or so of ideastorming, it’s not definitive or official in any way. But I thought it warranted sharing. Charity and politics are often closely linked. Not least because the Government is a huge funder of charities. I don’t need to go far to find an example. Look at the finances of my charity, Solent Youth Action. Our single biggest funder by far, was started by, and receives a lot of funding from, central Government. Even a lot of our other funders, whether local councils or NHS trusts, are influenced by central government policy. The point is, as a charity our future can be affected by politics. And with an election coming up, it’s a particularly popular time to look ahead and wonder about what politicians might decide to do in relation to the “Third Sector“. To help with this, Community Action Hampshire and the SCA Institute of Social Enterprise organised an event on the 12th March for charity directors and trustees to hear directly from the three main political parties on “The Third Sector and the Next Government”. The format was pretty straightforward. Three MPs – one from Labour, one from the Conservatives and one Liberal Democrat – were each given time to make a short speech, followed by time for Q&A. Once they all had a turn, there was a general Q&A for the three of them as a panel. I enjoyed the event, and thought it might be interesting to share some of what I heard. Solent Youth Action started life as a youth volunteering project at One Community (then Eastleigh Community Services). With only a couple of staff in the early days, we didn’t need a lot of space. 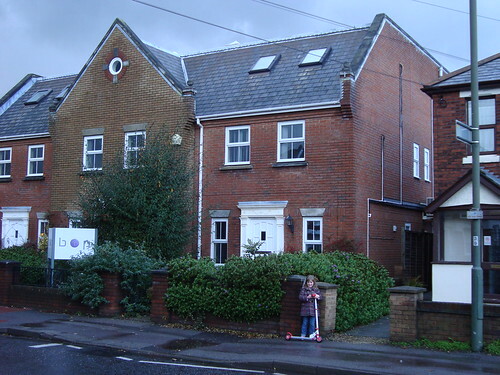 Even after we spun off as an independent charity in 2006, we still remained based at One Community – moving from being a project there, to a tenant, renting a serviced office. As we’ve grown, we’ve managed to rent a couple of extra offices in One Community, which helped us stay there for a little longer. But as we’ve continued to grow, and as more staff joined the team, we’ve run out of room and had to start looking for our own space. This week finally brought completion – we finally signed the lease for what will be our new main offices. I went on a training course yesterday to learn more about the Independent Safeguarding Authority (ISA). ISA is the public body that will be responsible for registering and vetting people who work with children. It was created by the Government in response to the Bichard Inquiry that followed the Soham Murders. There was way too much covered in the course to fit in a single post, but there was one particular bit worth mentioning. The biggest limitation with the existing CRB (Criminal Records Bureau) checks is that it’s a snapshot – a one-off check. It’s a piece of paper that tells you that the owner had no convictions at the time the paper was printed. But it doesn’t tell you if the owner went out and committed a crime the day after the paper was printed. If a CRB check isn’t repeated for a few years, it can be years before this is discovered. ISA registration is different. Once registered, someone is continually monitored.